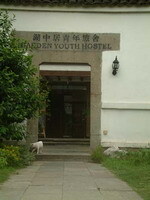 Hangzhou West Lake Youth House is an international standard hostel which is highly recommanded by those backpackers traveling to Hangzhou from all over the world. It stays in the best location by the south of the West Lake, where you can easily access to the parks around the West Lake to take a free wandering or visit the Leifeng Pagoda which is just nearby. 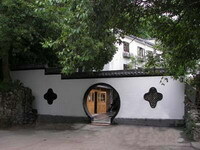 JIANGNANYI International Youth Hostel is idealy located in Hangzhou West Lake scenic area. The hostel itself is a small beautiful villa, with yards, and gardens. What is most special for this hostel is the small restaurant.the food they have is especially wonderful, there are two dishes you must try "chicken with peppers" and ""fried cabbage with vinegar and pepper"
The Q-HOUSE HOSTEL is a very unique theme hostel enlighted by the zodiac. their rooms are named after the zodiac: APISCES, ARIES, LEO, TAURUS, GEMINI, CANCER.... Each type of the room has its unique style and may cater to defferent taste, for travel parterns, for lovers, for students, etc. Touran Backpacker Hostel is quite a new hostel in Hangzhou. 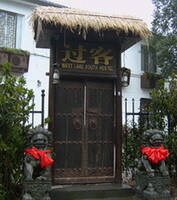 It is an International Hostel which gets a very good location surronded by the West Lake Scenic Area. What makes it distinguished is that the staff of the hostel are so friendly and helpful that the tourists from all over the world coming here always feel like home. Add: No.3 Si Yan Jin, Hupao Road, West Lake District, China. Mingtown Garden Youth Hostel is located at Zhao Gong causeway, the west shore of West lake. 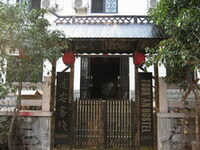 The hostel itself is an old building refurnished with the architecture style of Qing Dynasty. 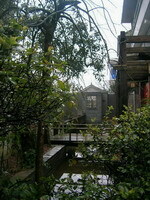 The hostel is surrounded by the lake on three sides, with the Hangzhou Garden at the opposite side of the lake. There are several famous tourist attractions nearby, such as Lotus Yard, Yue Temple and Lingying Temple. Wushanyi International Youth Hostel is located by the north of the well-known Wushan Square in Hangzhou. From here, it is very convenient to get to Hefang Song Dynastry Style Pedestrain Street, and also within walking distance, you can reach the West Lake.With the neat rooms and good layout of the architectures, it is a nice place to stay when you visit Hangzhou.